This brochure was published around mid-1986 to announce a major restructuring of Westinghouse Electric's Power Systems Business Unit (PSBU). Until that time, the unit was composed of two separate business units: Nuclear Energy Systems, headquartered in Monroeville, Pennsylvania, and Power Generation, headquartered in Pittsburgh and in Orlando, Florida. At the time, Power Generation factories were located in Charlotte and Winston Salem, North Carolina, and in East Pittsburgh. 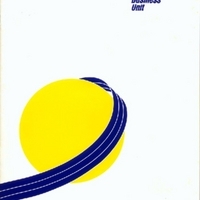 The reorganization announced in this brochure brings the Nuclear and Power Generation operations under one sub-corporate organization, the Power Systems Business Unit, which was to be managed by Jim Moore, Vice President and General Manager, reporting to Executive Vice President Theodore Stern. Directly affecting the Orlando operation was the naming of Tom Campbell as General Manager of Generation Technology Systems Division. Campbell transferred to Orlando, where he became site manager for the next two years. Original 14-page brochure, 1986: Private Collection of Harry Jaeger. Digital reproduction of original 14-page brochure, 1986. “Power Systems Business Unit.” RICHES of Central Florida accessed April 23, 2019, https://richesmi.cah.ucf.edu/omeka/items/show/6497.